Social networks for business help enterprises collaborate securely across departments, offices and countries. Many available tools give employees a sense of online community and help forge connections between different parts of the business and your customers. However, some business leaders struggle to understand the benefits of the “social business”. Furthermore, organizations that have made the leap often find that after embracing the technology initially, employees’ enthusiasm soon dies down and only a handful of workers continue to use the technology. So, how can businesses develop a long-term social business strategy? We spoke to a number of experts to find out. David Terrar, founder of digital transformation and social business consultancy Agile Elephant, underlined the point, saying that enterprises that don’t embrace these technologies risked become irrelevant. 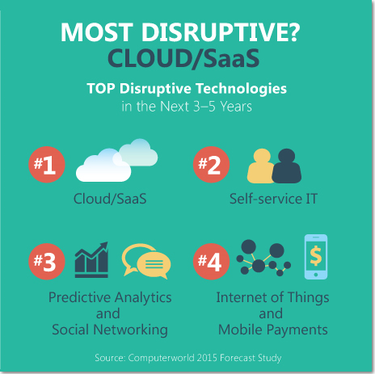 According to Computerworld’s 2015 Forecast Study, social networking, alongside predictive analytics, will be one of the most disruptive business technologies over the next three to five years, more so than the Internet of Things and mobile payments. For many organisations, that disruption is already underway. For those businesses that are already reaping the rewards of a social enterprise strategy, it’s not simply about providing employees with the means to interact with each other more effectively. Christian McMahon, CIO at business consultancy three25, said that in future many interactions with customers could be improved by the use of social tools. “Harnessing social collaboration through your socially enabled cloud infrastructure is a great way to engage with and get rapid response from/to both your internal and external customer base,” said McMahon. “Social media will soon become the main interaction point for customer service and external communication in less regulated industries, away from just being pointed at traditionally bloated websites with pages of static content and FAQs to wade through. In this more interactive and collaborative mobile world, customers now deserve more dynamic and engaging interaction beyond the traditional call centre approach,” he added. René Büst, Senior Analyst and Cloud Practice Lead at Crisp Research, said that a cloud infrastructure with social capabilities has the potential to help improve the customer engagement by letting the customer become an integral part of the entire customer life-cycle process. “The customer is empowered to follow his request in real-time and be integrated into the process in real-time, giving him more power, influence and overview. This kind of closer, real-time, collaboration helps to accelerate the overall process to solve issues and challenges faster by working like a team together with the customer,” said Büst. Furthermore, by becoming an enterprise that relies on social collaboration, you have the opportunity to reduce reliance on other things, like storage and even paper. But even with the perfect collaboration tools in place, encouraging users to change the habit of a lifetime will be a battle, said Alan Mather, former chief executive of the e-delivery team at the UK Government’s Cabinet Office and now Director at Ardea Enterprises Limited. Forcing employees to use social tools is one way to ensure new technologies are embraced, but ultimately the challenge will be in changing the culture of the organisation. CIOs and other IT decision makers face plenty of challenges in their pursuit of social enterprise collaboration. Business must understand what they’re trying to achieve before they set off on the journey, and be committed to making cultural changes to the way they work. But the message is clear – collaboration tools are likely to take over your enterprise whether you like it or not, and it’s better to be the leader rather than the follower. Learn how to save time, money, and sanity with an integrated collaboration suite. Get the free eBook.